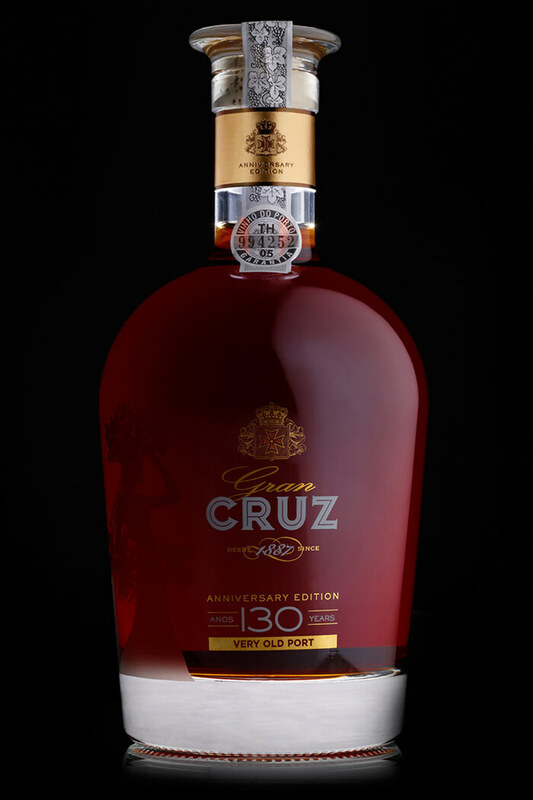 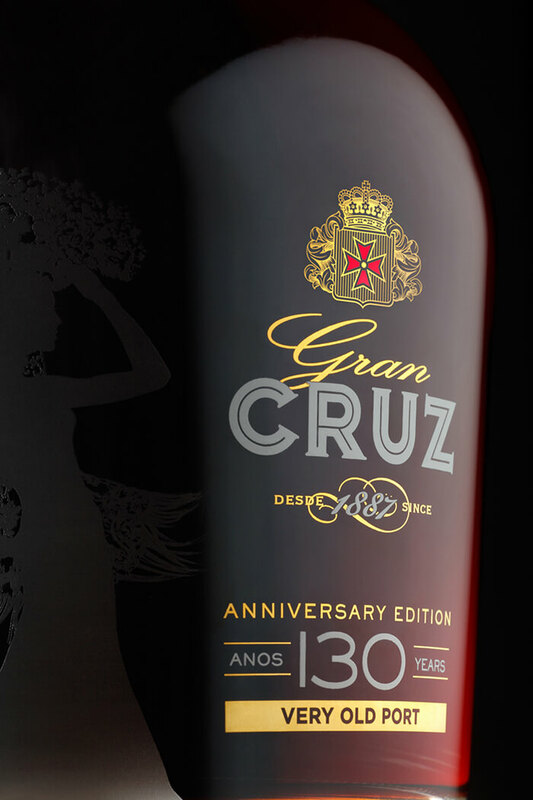 In order to mark the 130th anniversary of the know-how and passion of Gran Cruz and to celebrate an historical date for this century-old Port producer, Omdesign designed and produced a special and exclusive bottle and packaging, limited to 250 bottles with an excellent Very Old Tawny Port, from a single harvest. 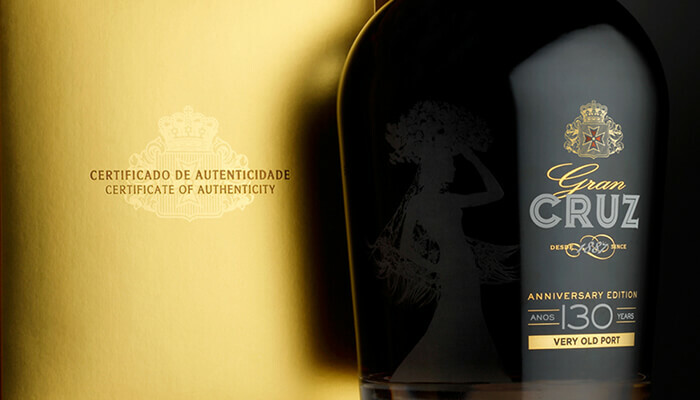 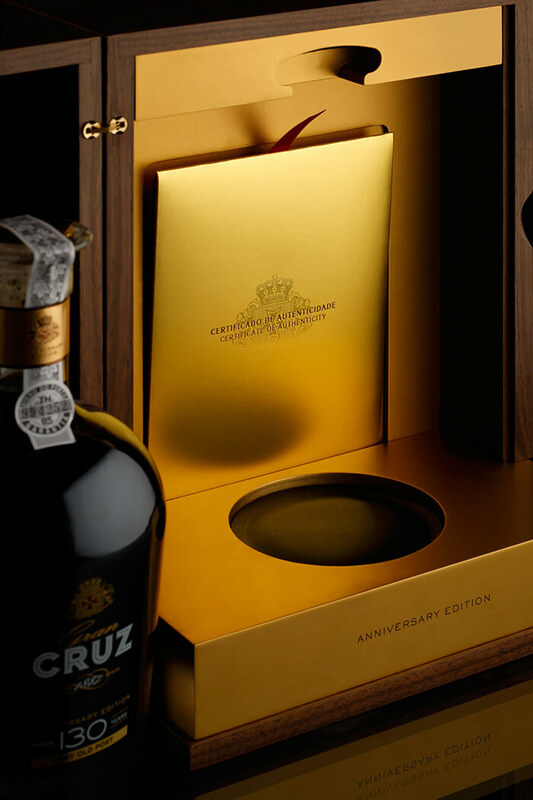 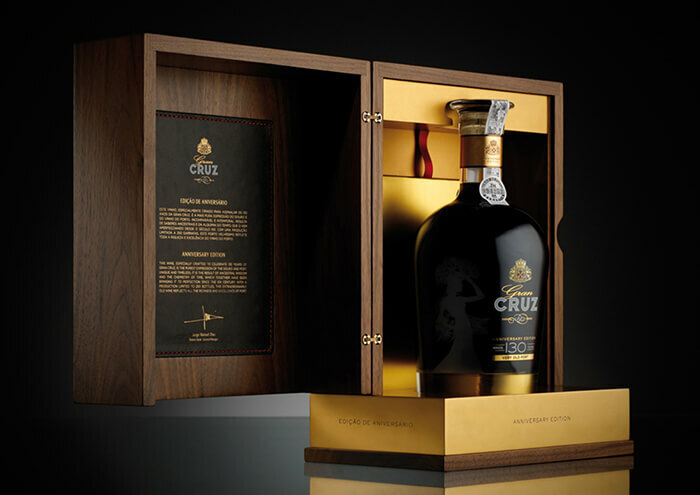 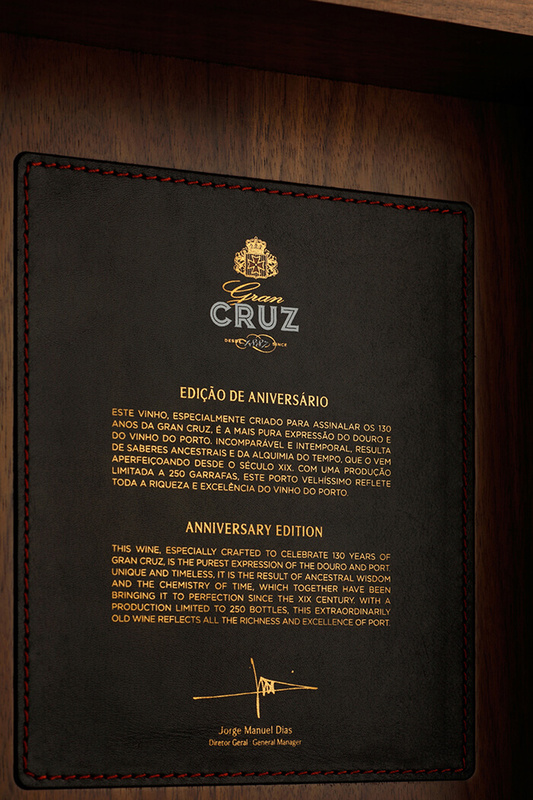 Determined to create an outstanding commemorative packaging, Gran Cruz has launched this luxurious, premium and limited edition, which reflects in its details all the essence of Douro, as well as the cooperage artwork and ageing of the distinctive wine Gran Cruz has worked on and prepared for this particular edition. 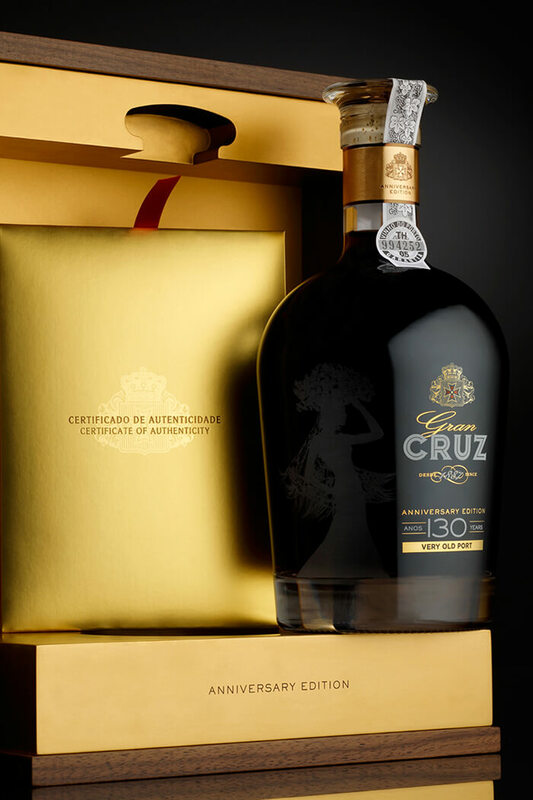 Reinforcing their culture, history and values, Gran Cruz selected a special 100 years old Very Old Tawny Port and an special icon screen printed on the bottle, representing and mirroring the significance of black colour in their legacy, identity and personality. 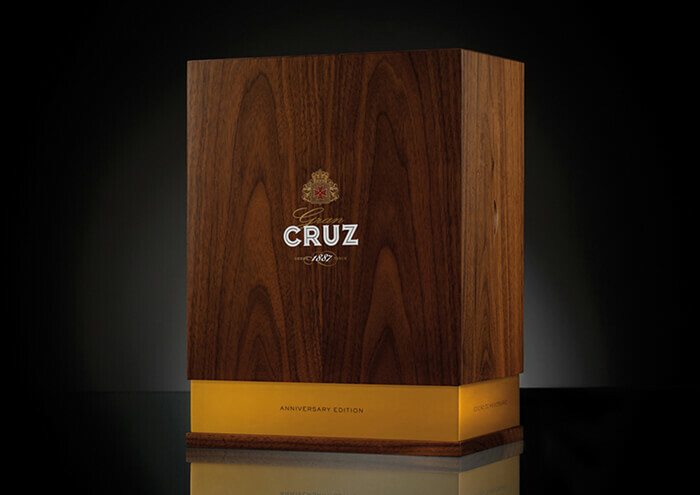 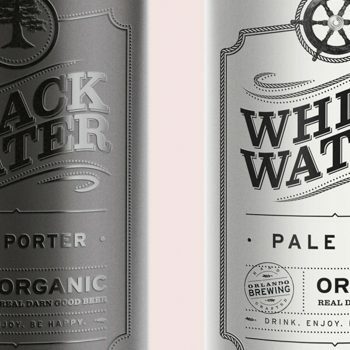 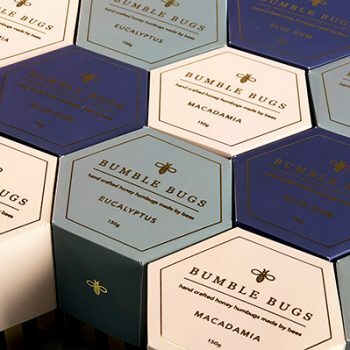 The bottle is integrated in a wood structure, finished with velvety touch. 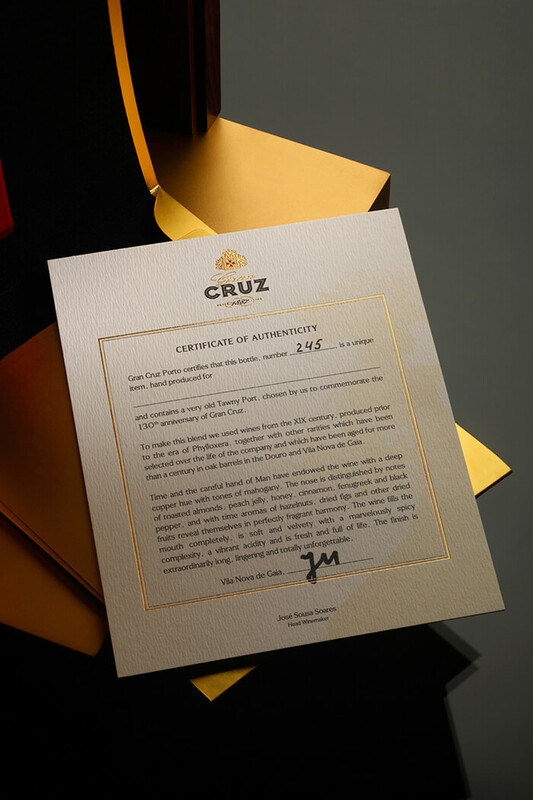 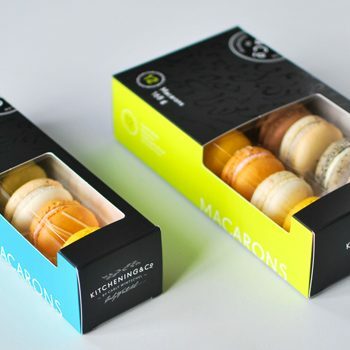 Inside we are invited to find out remarks in leather and gold finishes, underlining the luxury of this project. 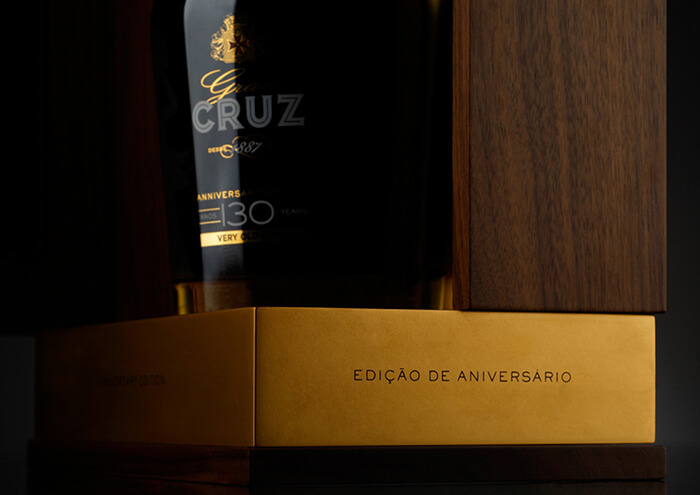 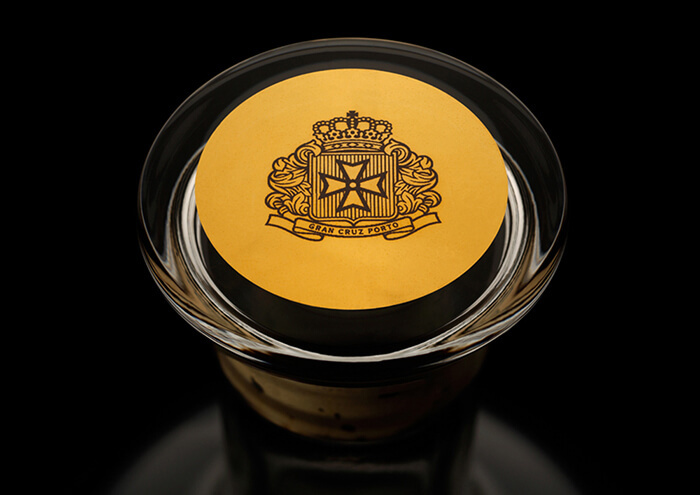 Every detail was developed to have a specific purpose, such as the bartop slot made to avoid the bottle to turn or to move; the icon graved in the bottle to illustrate the slogan, culture and history of the company or the cork stopper to keep the quality of this unique wine.